At J&A, we believe that accurate surveying is the cornerstone to ensure a successful project from design to completion. We take great pride in precision, and believe the quality of a survey enables our client to optimize project timeline and budget. 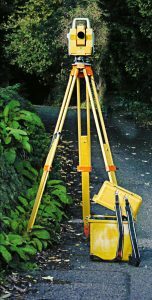 Our experienced team of land surveyors utilize the latest in automated land surveying technology and state-of-the-art electronic equipment for accuracy you can depend on. Our survey crews are familiar with and strictly abide by the Standards of practice for Land Surveying in the State of Alabama, The Alabama Department of Transportation (ALDOT) Surveying and Mapping Manual, ALTA/ACSM standards, NGS procedures for geodetic surveys, and other state, federal, and municipal regulations. Our abilities include extensive experience using GPS and ground-based radar imaging systems to produce accurate information for planning communities, institutions, and government installations. J&A has been awarded an agreement with the ALDOT for Surveying Services Statewide, as well as Transportation Support Services Statewide, and Construction Engineering and Inspection (CE&I) Services.